A meteoroid is a small rocky or metallic body travelling through space. 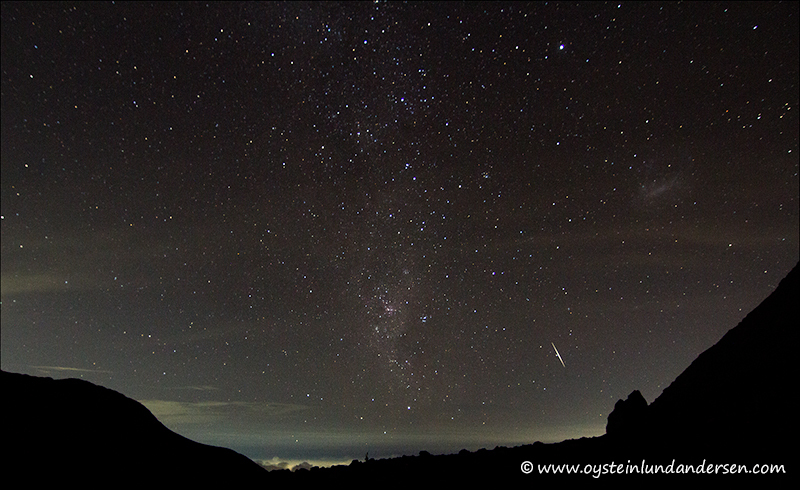 Meteoroids are significantly smaller than asteroids, and range in size from small grains to 1 meter-wide objects. Most meteoroids that enter earths athmosphere are fragments from comets or asteroids, whereas others are collision impact debris ejected from bodies such as the Moon or Mars. When such an object enters the Earth’s atmosphere at a speed typically in excess of 20 km/s, aerodynamic heating produces a streak of light, both from the glowing object and the trail of glowing particles that it leaves in its wake. 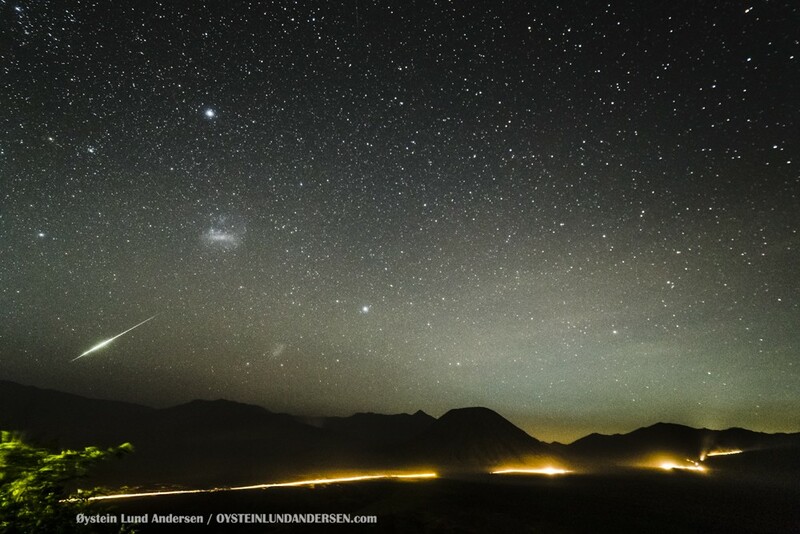 This phenomenon is called a meteor, or colloquially a “shooting star” or “falling star”. A series of many meteors appearing seconds or minutes apart, and appearing to originate from the same fixed point in the sky, is called a meteor shower. 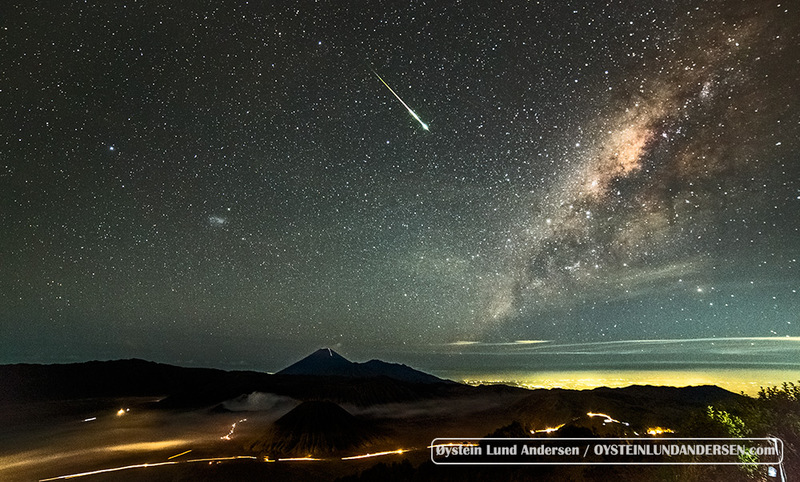 Meteor falling over the Tengger Caldera, Indonesia on the 14th June 2015. A small meteoroid enters the athmosphere. Photo captured from the top of Merapi Volcano, Central Java, Indonesia. October 2013.